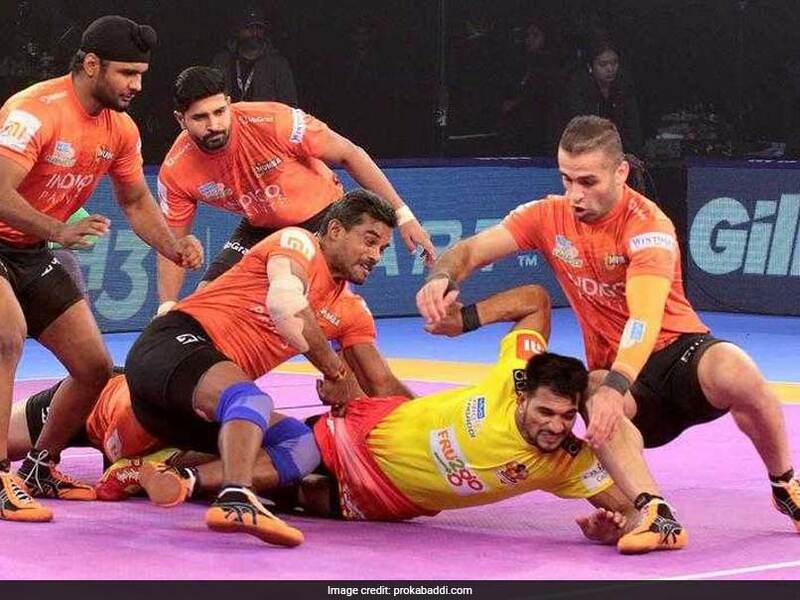 U Mumba's Dharmaraj Cheralathan and Rohit Ranaearned 17 tackle points on the night to consolidate their position on top of Zone A.
U Mumba registered their first victory over Gujarat Fortunegaints in six attempts to win the tie 36-26 at the Thyagaraj Sports Complex in Delhi on Sunday in a Pro Kabaddi League clash. U Mumba's Dharmaraj Cheralathan and Rohit Rana earned 17 tackle points on the night to consolidate their position on top of Zone A. U Mumba scored a total of 16 tackle points, which was more than their raiders scored. For Gujarat Fortunegiants, Sachin scored eight points while Prapanjan chipped in with four points. Sachin got a couple of raid points for Gujarat as they trailed 6-9 after six minutes of play. It was Sachin's raiding prowess that kept Gujarat Fortunegiants in the match as he kept on picking raid points at regular intervals. Meraj Sheykh got seven raid points for Puneri Paltan and Vishal mane got four tackle points. 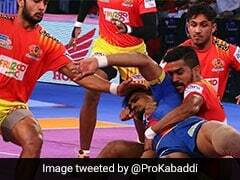 By virtue of this match, Puneri Paltan is placed third with 47 points, while Dabang Delhi is placed fourth with 45.